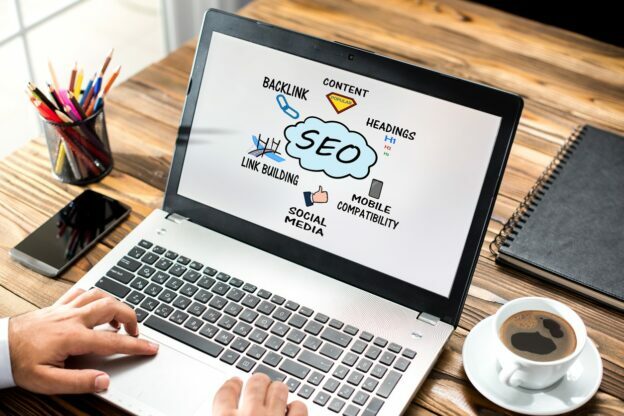 A common saying in SEO circles is “Content is king, but marketing is queen, and runs the household.” Just like any good couple one can’t survive without the other and both help each other to succeed. Without marketing your content no matter how good it may be will never be noticed. Likewise if you don’t have enough good quality content then what are you going to advertise and promote in your marketing? Content and Marketing are both equally as important as each other. It’s vital that anyone wishing to be successful makes sure that great content is paired with a great marketing strategy, never sacrifice or prioritize one over the other, both are equally important and should always be treated with this respect. Great content is king as people want to see something new that catches their attention when browsing the internet, Writing content in your own words with your own ideas ensures that your content is different and unique to you and this will be appreciated by users and the search engine itself when it comes to ranking. Also with great content you are more likely to get new and returning visitors to your site. 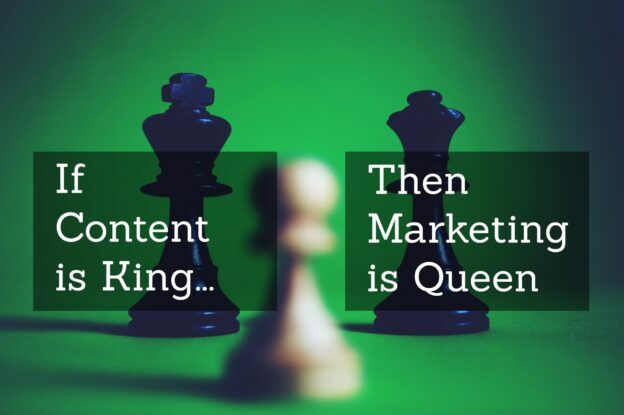 Marketing is queen because in today’s market you need both marketing and content working efficiently to be successful. While it’s of course great to have dozens of great quality well written articles, it isn’t enough in itself to rank highly, there is still another step required, which is of course the queen: Marketing. Be active on social media because you can funnel a huge amount of traffic from social media channels such as Facebook, Twitter, LinkedIn, Instagram, Google+ and Google My Business. In this article we established the power couple that is the king of content and queen of marketing and how both are as equally important and provide the most success when both are utilized successfully. Just like a game of chess, the king and queen are the most important parts, while you won’t win the game in your first, second or third move, if you use both effectively and make the right strategic moves and be patient your chance will come and you will see positive results, every game starts with the first move, make sure yours is the right one! To find out the right move and strategy to take when it comes to content and/or marketing please contact 2Cubed today!